EPS stands for Encapsulated PostScript which is an ordinary graphics file format used to exchange drawings such as logos and maps, images and layouts. For many cases, we need to change the PDF files into EPS for special use. But how to make this conversion job easily and safely? Don't worry. Here are the tips for you to convert PDF to EPS without Lossing Quality. And you can continue to read and learn more tips about EPS, Bitmap, PostScript, and Vector. 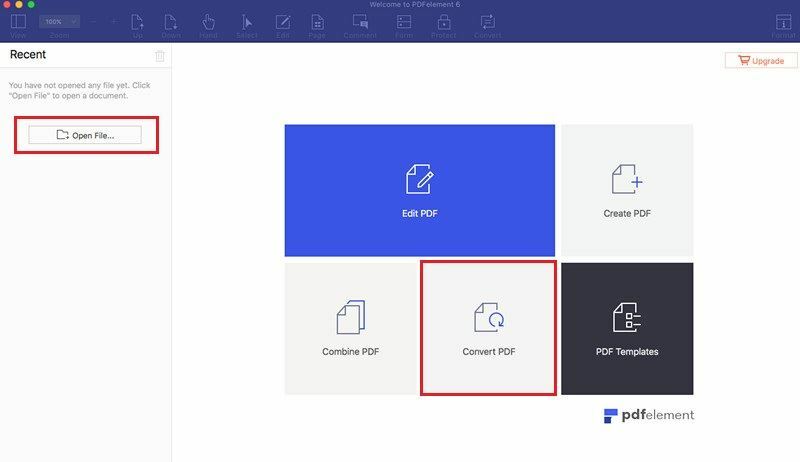 If you want to learn more PDF solutions, please try PDFelement Pro. If you are looking for a great PDF editing and converting software to make your work easy, you should make it a point to opt for PDFelement ProPDFelement Pro. With it, you can edit your PDF as you wish, convert PDF files to other formats, convert even scanned pdf file to editable document with OCR technology, and create a PDF file from different document types. Add watermarks, password, signature, shapes to your PDFs as your needs. Advanced OCR feature allows you to convert multiple scanned PDFs. Create PDF from other formats and create PDF forms with ease. Easy to combine your PDF files and manage your PDF documents. One can make use of the command pdftops to convert PDF file to EPS files. By default, PDF files are converted to postscript by pdftops for printing but the –eps option can be used to convert pdf file to eps file. Office converter free online converter can help you to convert PDF to EPS on Windows for free. It is a site that provides free online conversion of pdf to eps. 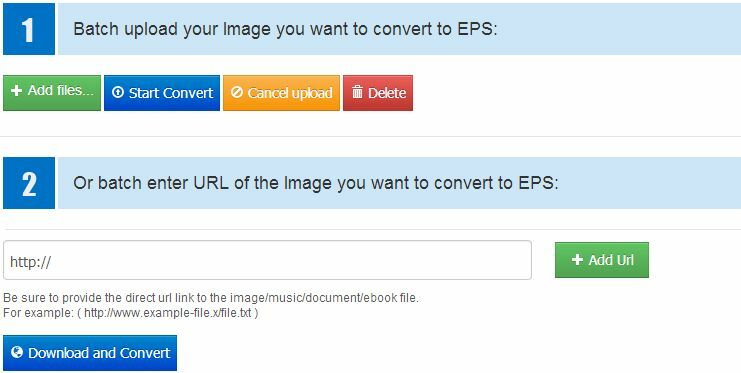 One can convert any pdf on the website through the URL provided into EPS files, where you Upload your document and convert it to EPS instantly. It is free, however, it is limited to 10mb size of the file to be uploaded unless one sign up as a member where the limited size is added to 1gb. To convert PDF to EPS on Mac, you can use Image Converter for Mac. It is a multipurpose converter and image browser designed specially for Mac users. Image Converter for Mac allows conversion from PDF, PNG, BMP, TIFF, JPEG, EPS, GIF on the Mac os x. It also enables you to convert image to any other graphical formats. Additionally, it allow you to view image files on the Mac by navigating the images kept in the folder by use of the navigation keys as well as the keyboard shortcuts. 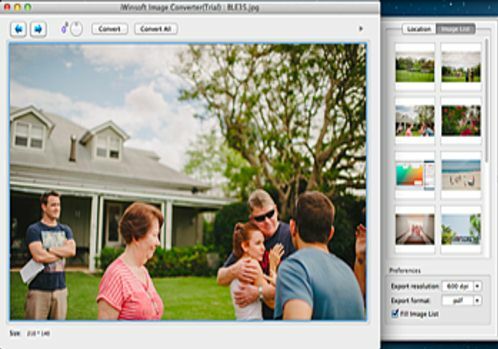 Image Converter for Mac supports batch conversion easily and fast without compromising on quality. Microsoft Word: this can attach the EPS files in the documents serving as a simple EPS viewer. One only needs to drag and drop the EPS file into a word document and the file appears. To do this in older versions of Office, one has to Choose Picture from the Insert menu and Select from File. Other EPS viewer includes the Ghostscript which is a really classical viewer, Gimp, Photoshop and the EPS viewer, which is a free to use software tool. The EPS has a PostScript page description language which contains description of objects and layouts. It acts as a PostScript program that is saved as a single file which includes a low-resolution preview enclosed inside it and thus, allowing a number of programs to show a preview on the display. Information in the EPS file can include combination of text, images as well as graphics. It uses .eps or .epsf file extension. Its files can either be ASCII or binary. It is a form of image file format or memory organization that is used for the storage of digital images. It can also be viewed as an illustration, consisting dots in rows and columns, representing graphical images in computer memory, where the value of every dot is kept in one or several data bits. It is mainly used by the graphical user interfaces in their subsystems with the built-in graphics. Bitmap uses .bmp as the file extension. This is where images are displayed as mathematical formulas which define all the image shapes. It can also be viewed as a combination of software and hardware that represent images in geometrical formulas. Vector fonts, outline fonts, object-oriented fonts and scalable fonts are terms used to describe Fonts represented as vectors. A drawing on PostScript looks more appealing when output on a 600-dpi printer as opposed to a 300-dpi printer while a bit-mapped image looks similar on the two printers. Post script is one of the vector font system.In vector graphics, the Programs that enable one to create and manipulate are referred to as draw programs, whereas in bit-mapped images they are called paint programs. There is more flexibility in Vector graphics than in bit-mapped graphics since the two appear the same when scaled to different sizes. Contrast to bit-mapped graphics which become ragged when shrunk or enlarged. It is notable that vector images are used in high-resolution output devices while bit-mapped images do not. Most output devices raster devices meaning that all its objects including vector objects have to be translated into bit maps prior to outputting. The distinction between the two graphics is therefore that vector graphics are not converted into bit maps until all sizes and resolutions are specified. PostScript printers have a raster image processor which performs the conversion within the printer.